Doesn’t matter whatever you have tried, whether adding additional resources such as CPU, RAM, or KB’s, follow best practices articles, most of those options usually aren’t working. Hopefully, it’s understandable to you… basically is very important local components that use on DLL files that located under “%SystemDrive%WindowsSystem32” and serve the operation system, each group of SVCHOST could serve different components on your machine and create like a new instance. The main purpose of this article is to show you how to deal with this process, how to analyze and investigate, why does process utilize too much recourse. 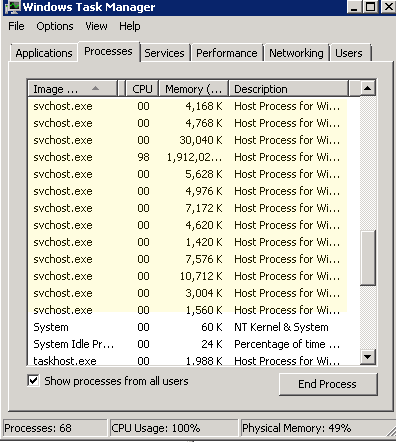 As you can see, there are more than 10 SVCHOST.exe processes that are running on my server, how can we know what really runs behind the scenes, what services are used by this process? 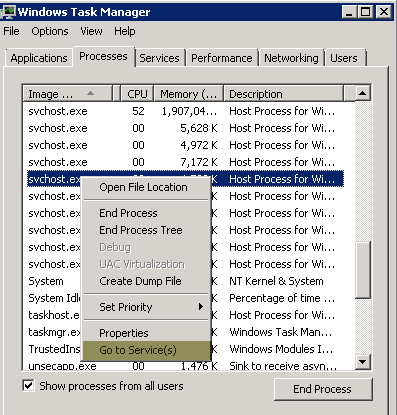 It could be useful for you, just to understand why SVCHOST utilize too many resources. 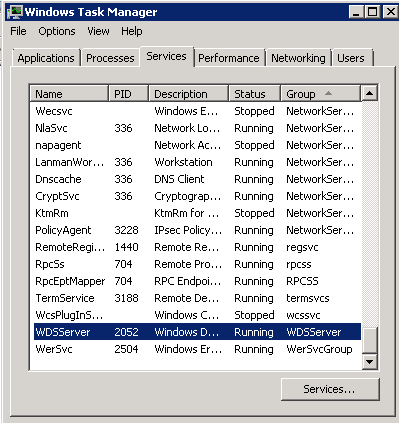 And now you can start with your professional troubleshooting and try to investigate why service X utilize too many resources. 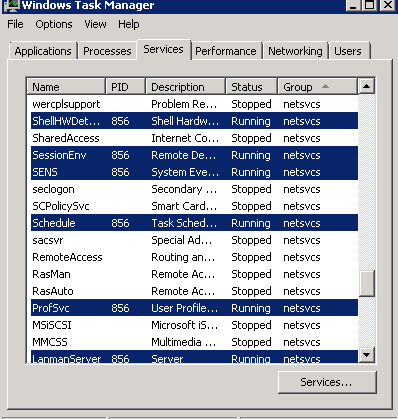 Most cases I experienced is Windows update which loading too many updates and waiting for installing or restarting the machine, Antivirus that also scans these processes for a while, it definitely changes and different on each machine, but using this short explanation you will be able to analyze and realize what does on your machine. I really hope that it was helpful for you guys. Indeed, excellent article,most cases the Windows Update utilized the most of resounds….